In Spring 1983, a little Vineyard FM signal altered its format, brought on live DJs, and began a 35 year run as A Voice For The Vineyard. Since 1983, WMVY has operated out of a little house, at the end of a dirt road, on a special little Island off the coast of Massachusetts. Independent and eclectic, not unlike the local populace, the station has always remained true to the vision of being a Voice For The Vineyard. The station's roots stretch back to the 1970s, when community radio WVOI broadcast out of the same building for a brief period. In 1981, an automated station hit the airwaves on 92.7. But it was May 1983 that WMVY, as you would recognize it, sprung to life, with live DJs and a loose musical format wrapped less around hits and more around quality, under-appreciated artists. Owners Bob and Linda Forrester, consultant Clark Schmidt, Jeff Damon, Mike McLaughlin, Pete "Fly By Night" Sawyer, DiAnn Ray and others created the template that built WMVY's reputation. 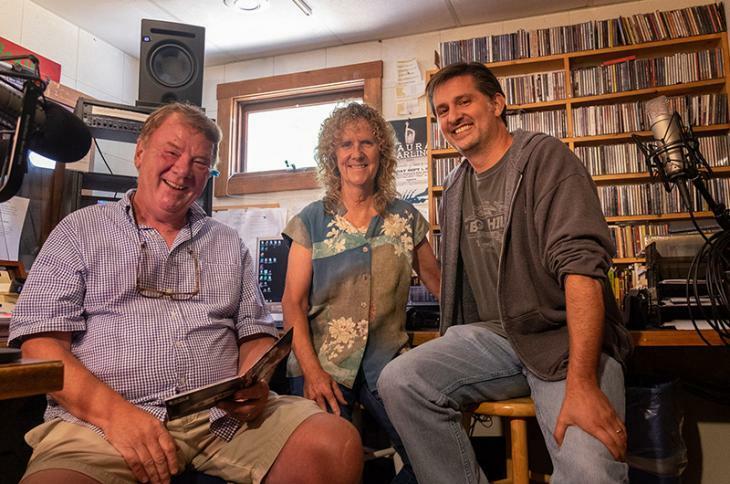 Award-winning Program Director Barbara Dacey spent the 1990s shaping WMVY into a beloved local institution and a national model for Triple A format radio stations. By the late 1990s, the station had been acquired by Aritaur Communications. 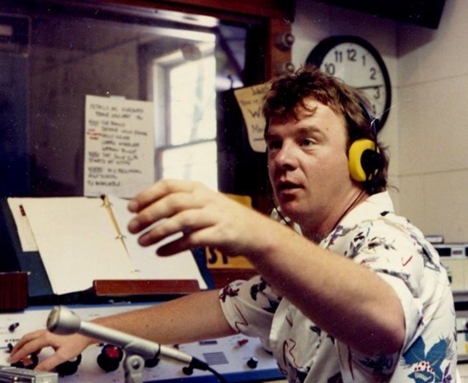 Under the leadership of Joe Gallagher, the station became one of the first broadcast radio stations in the country to stream. The station pursued On The Road adventures, building a massive archive of concerts, interviews and exclusive performances. In 2012, Aritaur had sold off its other radio stations and needed to sell WMVY. Rather than shut down the station or hand it over to a corporate group, a novel plan was hatched. Aritaur sold the 92.7 FM signal license to a Boston station that was looking to air its content on the Cape & Islands, but they did NOT sell the content, the equipment or the brand. The SAVE MVY campaign was launched, and in 60 days, the MVY staff raised $600,000 from listeners to cover one year's operating expenses. 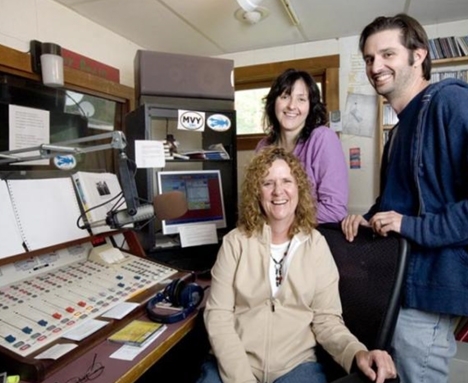 In February 2013, WMVY signed off 92.7 and became an internet-only station. 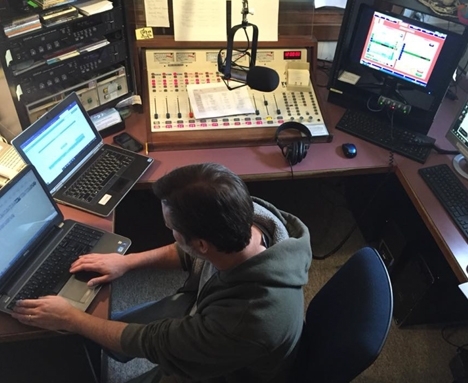 Fifteen months later, WMVY re-emerged on 88.7 FM. The station transitioned to an independent, listener-supported, 501c3 non-profit, and continued its tradition of playing eclectic, under-appreciated artists, while re-affirming its commitment to being A Voice For The Vineyard. Today, the station is still run by staffers who've been with the station 15, 20, even 30 years. The stream goes far and wide---over half of the station's donors are from outside the 88.7 FM broadcast area. And it all still springs out of that little house, down the dirt road, on a special little Island off the coast of Massachusetts. Friends of MVYRADIO is a 501c3 non-profit. Learn more about our Mission, Vision and Values, meet the Friends of mvyradio Board of Directors and our Community Advisory Board, and find our required documentation for the FCC and Corporation For Public Broadcasting. Find out when your favorite programs and features are schedule to air. We have the full schedule here as a downloadable PDF. We have a staff full of long-time professionals. Meet the MVY DJs! "Great to hear old favorites plus lots of new music. The Steamship Authority report is equally as entertaining."